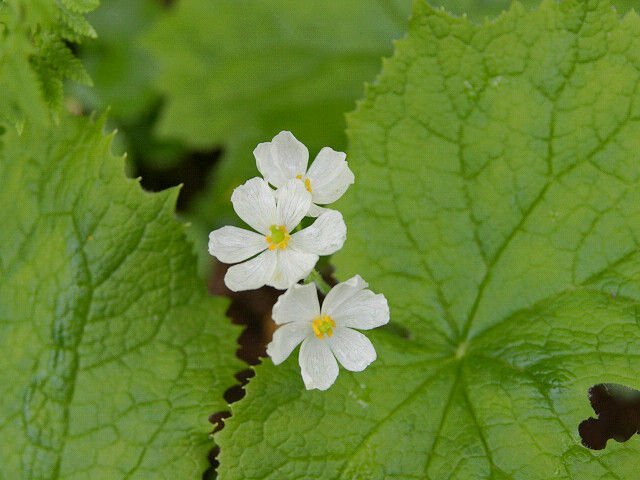 A peculiar beauty trend has taken off in East Asia, and it is proving to be cause for concern. Women are inserting a small set of pegs, called “nose lifter”, into their nostrils in order to make their nose look more European. Western noses are apparently considered more attractive as they’re sharper and pointier. 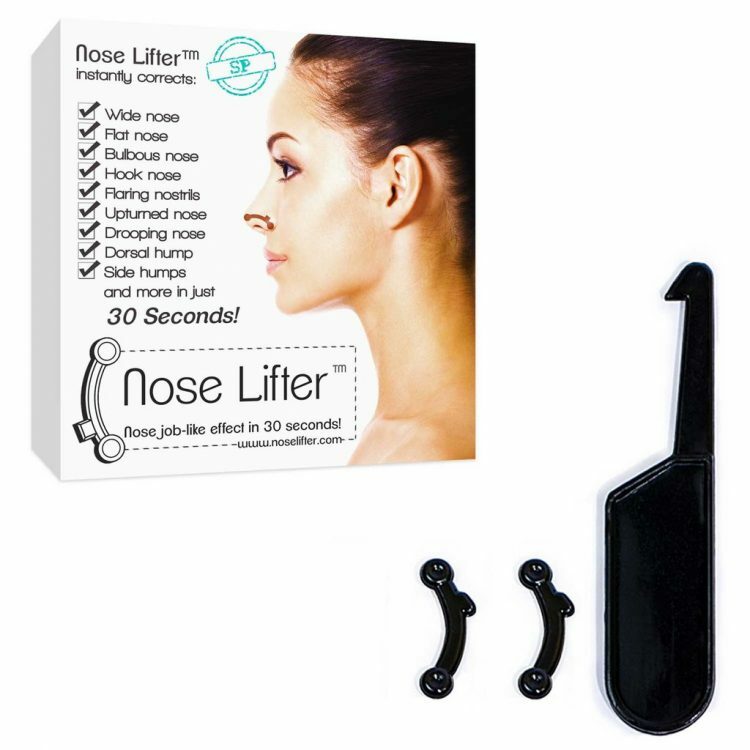 The Nose Lifter set consists of two curved silicone pegs, measuring two to three centimeters long, and a hook for adjusting. The pegs are inserted into the nostril and then adjusted to a 45-degree angle. The result is an instant nose job without invasive and expensive surgery. 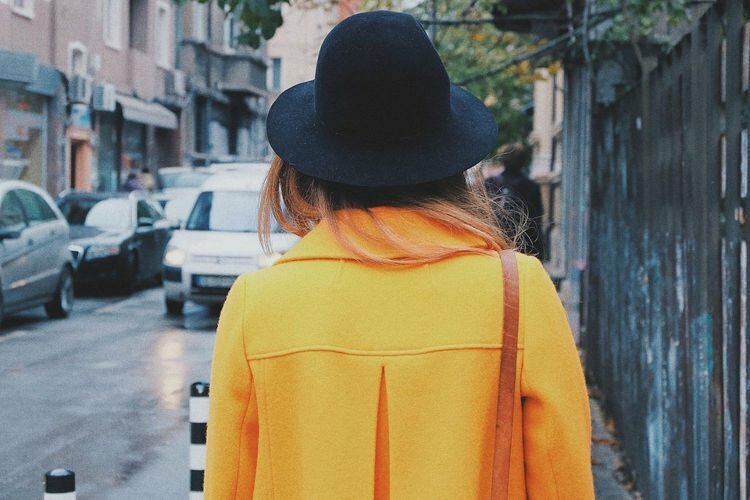 The trend started two years ago in South Korea but has since spread across East Asia after being adopted by prominent YouTube beauty vloggers like Raiza Contawi. 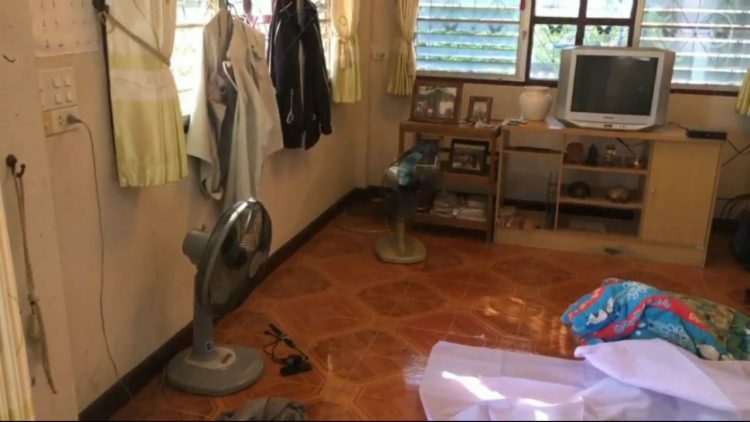 A 44-year-old Thai man reportedly died of hypothermia after going to bed on a cold floor with three electric fans flowing air at him all through the night. Sobthawee Boonkua, from Tambon Nai Muang, in Thailand’s Chaiyaphum province, had gone to look after his 86-year-old mother, at a relative’s house, and decided to spend the night. 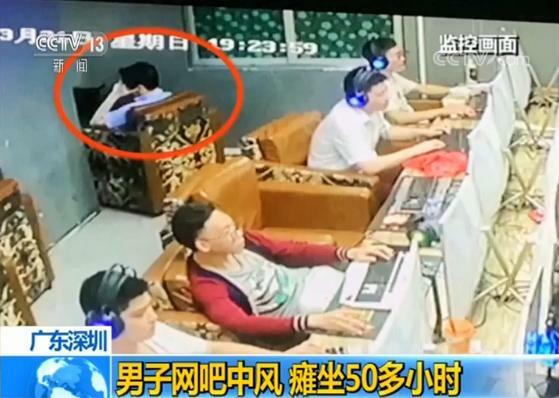 Fearing that he wouldn’t be able to get a good night’s sleep due to the heat in the poorly ventilated room, the 44-year-old decided to sleep on the floor and plug in no less than three electric fans to keep cool. Unfortunately, he didn’t take into consideration Chaiyaphum’s drastic drop in temperature at night, and the problems his body would have adjusting to it. Some people like to refer to the iPhone as an absurd luxury product to pay money on, but if buying an Apple smartphone is burning money, what do you call spending $1,000 on a tin can from New York jewelers Tiffany & co.? “Upgrading” everyday objects to luxury item status is apparently really trendy these days. From leather-bound rocks to solid gold fidget spinners and even car mats reimagined as designer skirts, everyone is just slapping obscene price tags on average things. 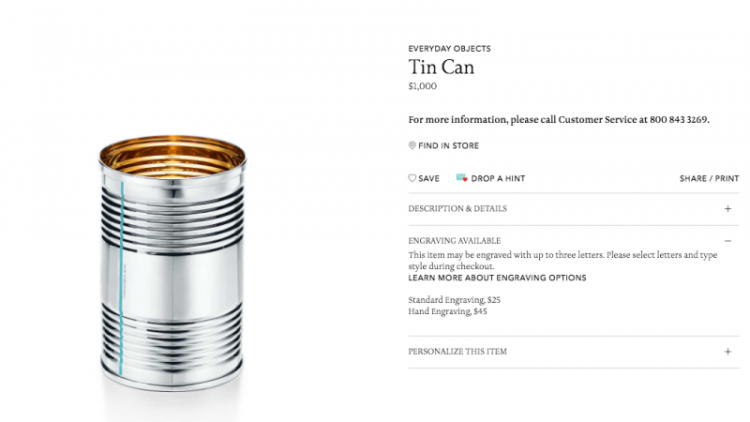 The latest company to jump on the upgrading train is Tiffany & co, with their eyebrow raising tin can priced at a whopping $1,000. That’s more than most people spend on actual jewelry, let alone one that looks like a shiny tin can. Boris “Boriska” Kipriyanovich, a 21-year-old boy from Volgograd, Russia, claims that he lived on Mars in a previous life until a nuclear war destroyed the atmosphere and all civilization on the red planet. 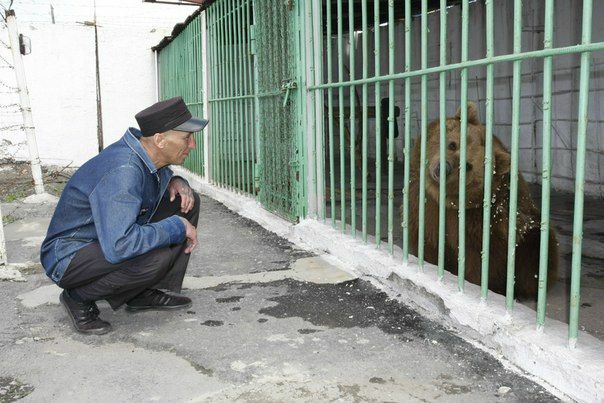 He was then reborn on Earth, but remembers his previous life. Boriska began claiming to be from Mars at age three, but his mother, Nadezhda , says that she knew her boy was special since he came into this world. She claims to have felt no pain during labor, and that when she held Boris in her arms for the first time, he looked at her with the focused look of an adult. He allegedly went on to hold his head up unsupported at only two weeks old and spoke his first word by 4 months. Boriska’s mother claims that by the age of one and a half was able to read, draw and paint, and had enrolled him in kindergarten by age 2. His incredible memory and language skills were soon noticed by his teachers. An Israeli start-up has introduced an intriguing potential solution to world hunger – fruit fly larvae. The company, Flying SpArk, co-founded by Eran Gronich and Yoram Yerushalmi in 2014, uses fruit fly larvae to make a protein powder (in regular and low-fat varieties) and oil, both of which are odorless and flavorless. These products can then be used to make everything from substitute meat patties to pasta, cereal, and even bread. Fruit flies have a lifespan of only six days but multiply up to 15 times in that time, making them easy and cheap to farm and harvest. 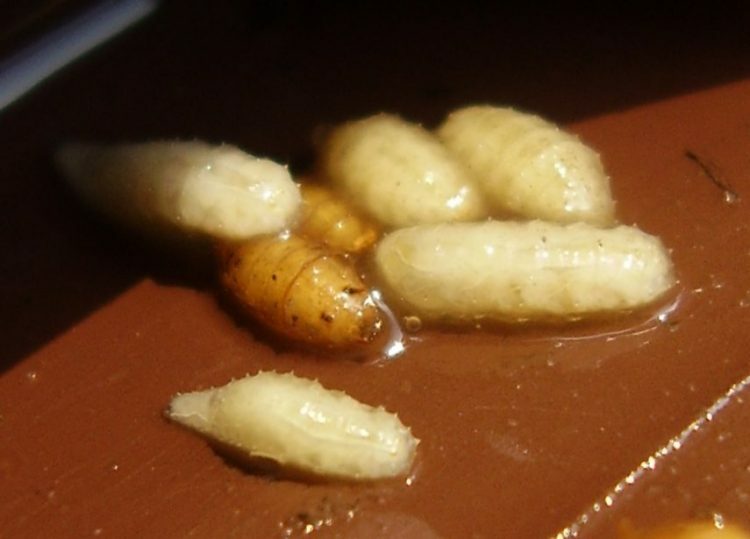 There is virtually no waste created in the process, as all parts of the larvae are used. This gives them an edge over conventional protein sources like poultry or cattle, but also over insects like grasshoppers or crickets, because they have no legs, wings, antennas or eyes. And while, Flying SpArk doesn’t believe its fruit fly powder can completely replace meat, the company hopes that by becoming a part of human diet, it can at least reduce our negative impact on the environment. 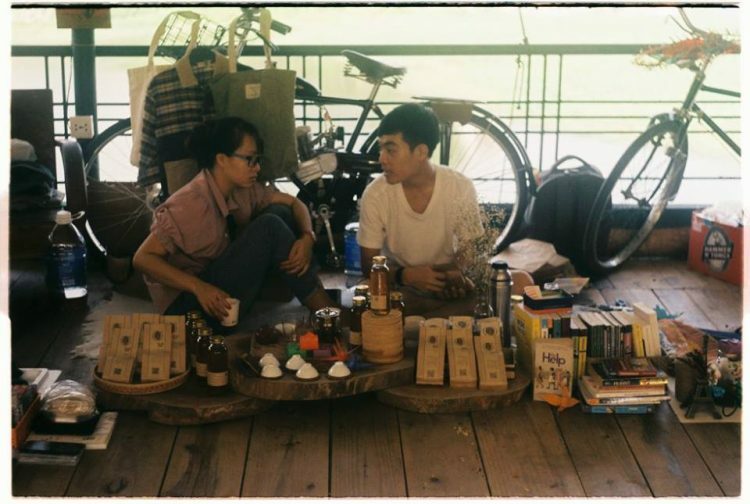 In Hanoi Vietnam, a young entrepreneur called Dinh Thang has found a creative solution to the post break-up blues. Instead of wallowing among the leftover relics of failed relationships, such as love letters and clothing, Thang has boxed them up and put a price tag on them. 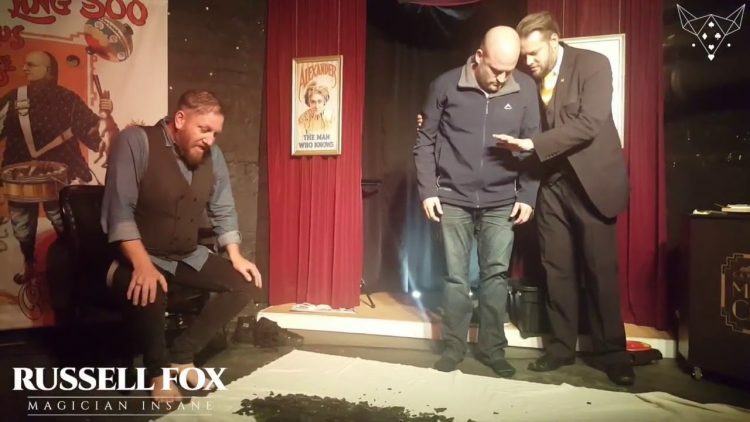 In February 2017 he founded the Old Flames Market where the broken hearted can gather together and sell the remnants of their affairs to curious customers. 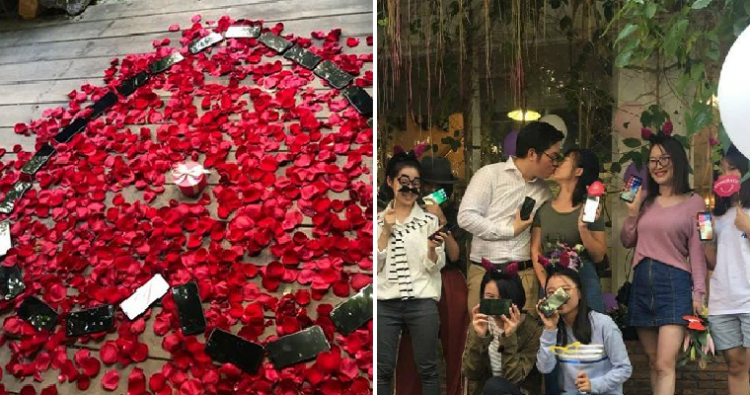 Chen Ming, a young video-game designer from Shenzen, China, recently sparked the envy of iPhone fans all around the world, after buying 25 brand new iPhone X smartphones and arranging them in a heart shape to propose to his girlfriend. To pull of the over-the-top marriage proposal, Chen Ming pre-ordered 25 iPhone Xs, and, on November 3, when the newest Apple handheld officially launched in China, he arranged them all in the shape of a heart on a bed of red rose metals, with an engagement ring in the middle. 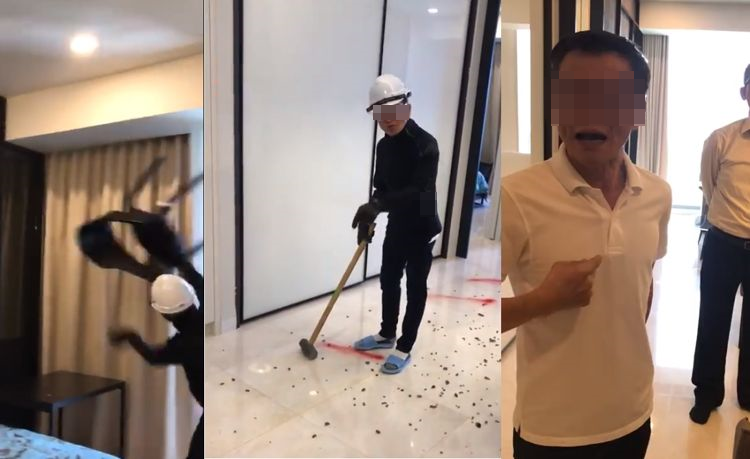 To make sure that his girlfriend didn’t suspect a thing, Chen enlisted the help of her friends, asking them to bring her to the specified location of the surprise. “Praise the Lord and pass the libation” is the motto of an unorthodox church located near Johannesburg, South Africa. Gabola Church of International Ministries takes its name from the Tswana word for “drinking”, and it both allows and encourages members of the congregation to drink during service. The African continent is home to lots of unconventional churches and colorful preachers who employ all kinds of outlandish rituals to attract parishioners. In the past we’ve written about ministers spraying congregates with “holy” bug spray, making them drink motor oil or talking to God on the phone. 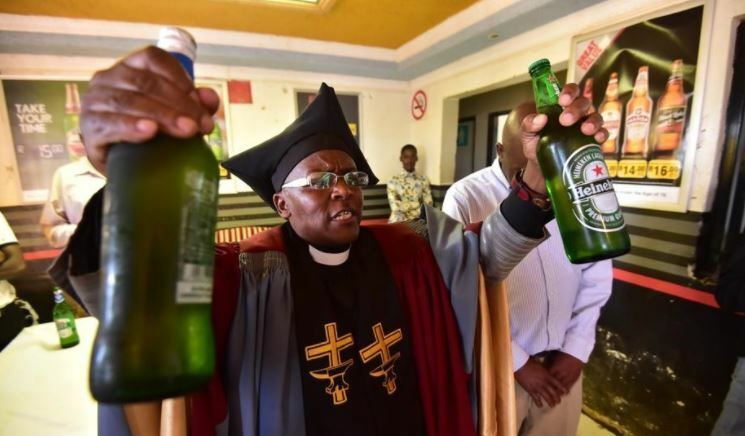 However, Johannesburg’s Gabola Church is apparently the first to choose alcohol as its main theme. Relations between North Korea and Japan grow increasingly tumultuous by the day as the fear of nuclear war rises to a fever pitch. 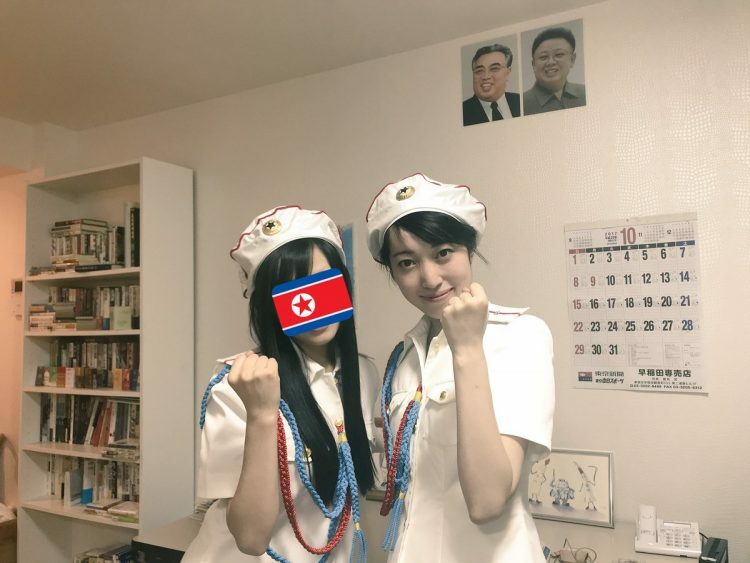 But despite the tense political climate, a group of Japanese girls fascinated by DRPK culture continue to profess their love for North Korean music, posters and fashion, by posing in military outfits and performing Pyongyang-inspired dance routines. Sengun-Joshi, or “Military-First Girls”, is a girls-only fan club whose members model themselves after the DRPK all-female Moranbong band, dressing in replica military uniforms and performing intricate choreographies to the sound of North Korean music. Members claim that they are just like other Japanese girls interested in foreign cultures, like US or South Korea, and that they shouldn’t be judged simply because they fell in love with the culture of a country known for its totalitarian regime. Sompong Chomphuprapet, a 65-year-old woman from Ubon Ratchathani, Thailand, recently made international headlines for her unconventional approach to finding a boyfriend. She put up a sign on her fence asking interested suitors to ask for more information inside. With dating sites like Tinder or Bumble so popular these days, and even niche options like slow dating apps, services that let you date people who look like your favorite celebrities, and even dating sites for Trump supporters, it’s hard to believe that anyone would still choose analog over digital when it come to finding a life partner. 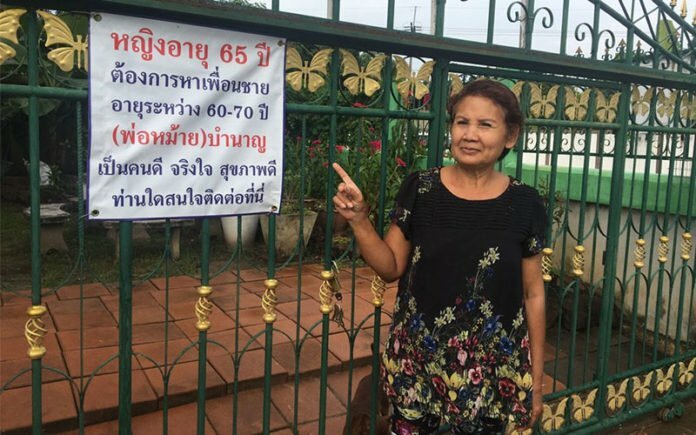 But for 65-year-old Sompong Chomphuprapet, a divorcee from the Pibul Mangsahan district of Thailand’s Ubon Ratchathani province, putting up a sign outside her house was apparently the best option. A Thai woman who got stood up at the altar by her boyfriend of six years is now suing him for moral and financial damages. In his defence, the man said he never showed up at his own wedding because he couldn’t afford to pay the dowry set by her family. 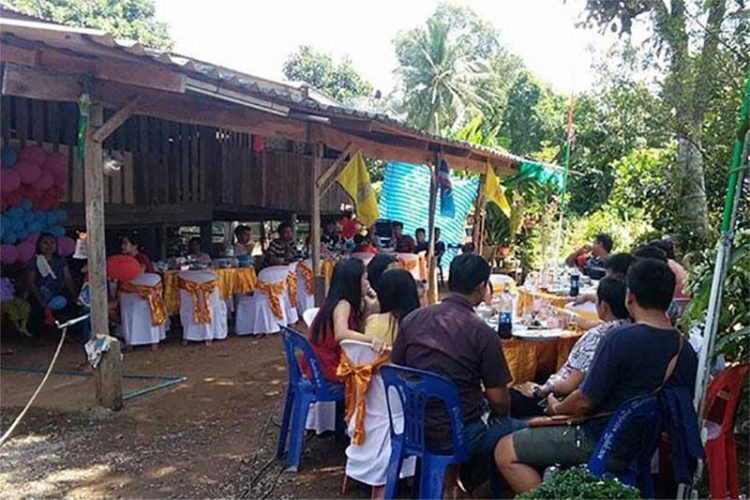 26-year-old Boonyang Sawatdee and his long-time girlfriend, Arunee Jaengkrachang, 24, were supposed to get married in the bride’s home village of Khao Din, Thailand’s Kabin Buri district, on October 22, but the groom never showed up. The day before the wedding, the couple met with the bride’s parents to make the final preparations for the wedding party and the groom showed no symptoms of “cold feet”, but on Sunday morning, he failed to show up at the agreed time, and so did all of his relatives, which really made everyone suspicious. Her name is Santa Muerte, the folk Saint of Death, and she is the skeletal figurehead of one of the fastest growing religions in Mexico and Central America with an estimated 10-12 million followers. Devotees have begun incorporating the controversial saint into Day of the Dead celebrations in recent years, as both are thought to originate from the Aztec goddess Mictecacihuat, or Lady of the Dead, who reigned over a festival of death every year in August. 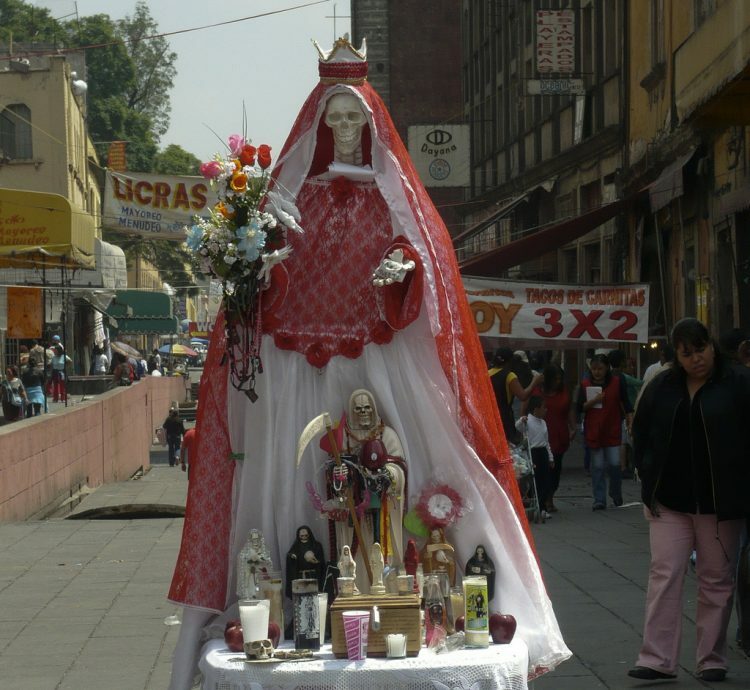 Santa Muerte, the personification of death, is typically portrayed as a skeletal figure draped in robes and veils similar to those of the Virgin Mary. She is often depicted carrying a scythe. Her appeal, according to devotees, lies in her non-judgemental nature, as death brings a fundamental equality to all people. It is also widely believed that she will grant favors and wishes in return for vows or offerings. She is most often associated with protection, healing, and financial well being, and is the only female saint of death in the Americas. An 87-year-old British pensioner has developed an oddly patriotic condition in which he hears an auditory hallucination of England’s national anthem playing in his head on a loop. 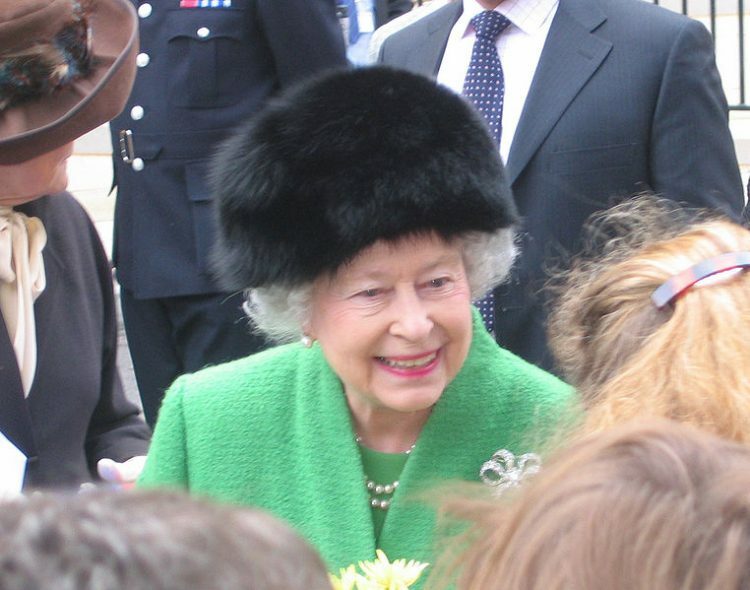 Ron Goldspink of Bilton hopes to meet Queen Elizabeth when she visits his town next month to tell her that he has heard the anthem even more frequently than she has. He suffers from a rare condition called Musical Ear Syndrome (MES) and mainly, which affects those suffering from hearing loss, causing them to develop non-psychiatric auditory hallucinations. The cause and mechanism of MES are currently unknown, but researchers believe it occurs when there is a lack of auditory stimulation. Sensory deprivation causes the brain to begin manufacturing sound, hence why it is common among people suffering hearing loss. Although it is still underreported, MES is believed to affect approximately one in 10,000 people aged over 65 in the UK. Bangladeshi film star Shakib Khan, one of the country’s highest acclaimed actors, is being sued by an auto-rickshaw driver for using his business phone number on-screen in one of Khan’s recent films. The plaintiff claims that ever since the film launched, he has since been inundated with phone calls from the actor’s female fan base, which caused significant disruption to his life. The film, Rajneeti, was released on June 25, 2017. During a scene with his onscreen love interest, Khan recites his character’s phone number. Although a common trope in Bangladeshi films, in this particular circumstance the number was not fake or made up. It was the real-life phone number of Ijajul Mia, an auto-rickshaw driver from the Jatrapasha village, in Baniachang Upazila, and the scene made the man’s life a living nightmare. 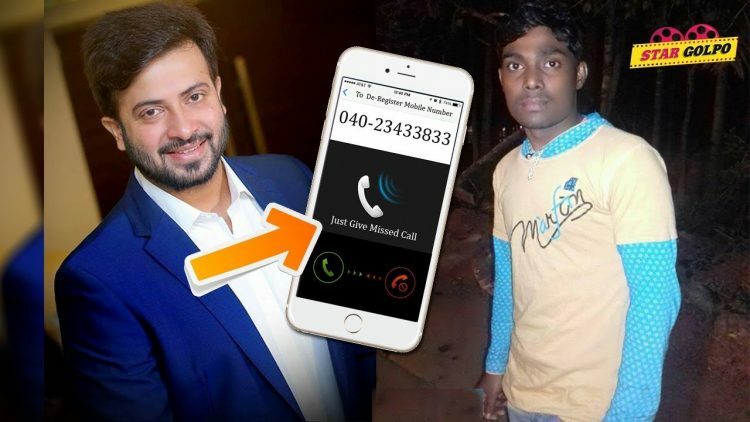 A few weeks after the film’s release, the phone number had already been widely shared among Shakib Khan’s fans, and in a five day period in July Mia claims to have received over 500 calls from women seeking the popular actor.